Based on the smash hit motion picture and award-winning Broadway musical, Legally Blonde JR. Follows the transformation of Elle Woods as she tackles stereotypes, snobbery and scandal in pursuit of her dreams. Directed by Alexandra Moxon, nominated for The Stage Debut Director award in 2018, and featuring Musical Direction from James Clements (Bugsy Malone, Fame Jr. Oliver! ), this family musical is a fabulously fun journey of self-empowerment and expanding horizons which is packed full instantly recognisable songs enriched with humour, wit and sass – leaving audiences wanting to change the world whilst painting it pink! 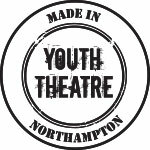 EARLY SHOW – Performed by Youth Theatre: Musicals – click here. LATE SHOW – Performed by Young Company: Musicals – click here.